Before you read any further, check out the photos of this beauty and its variegated foliage. 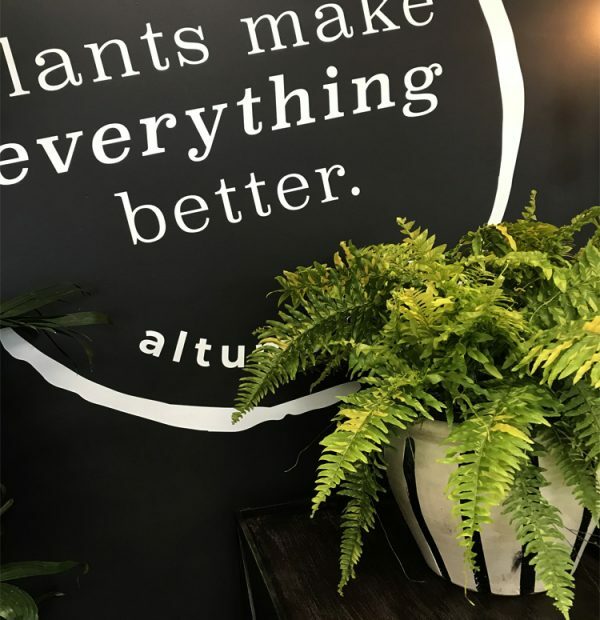 Just, wow! 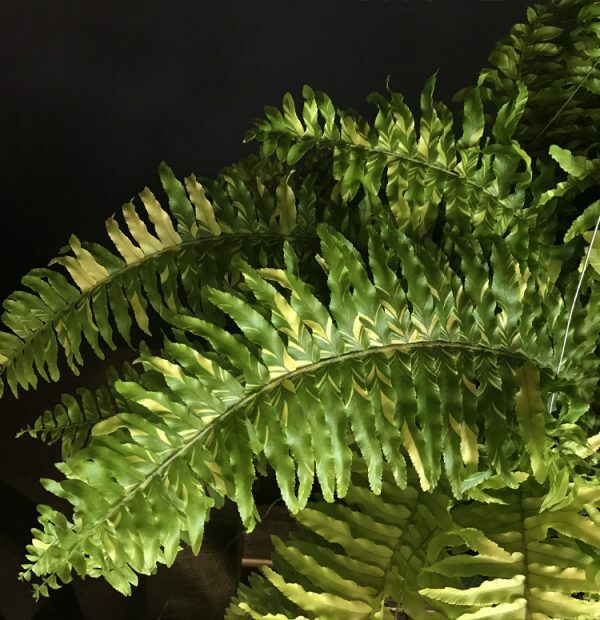 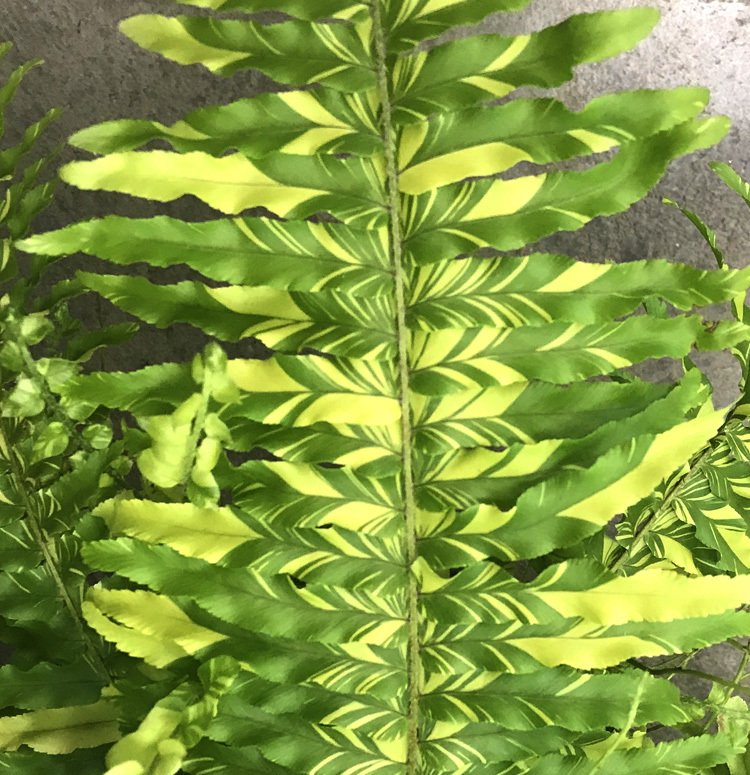 The Boston Tiger Fern is a new cultivator with striking green and gold fronds. 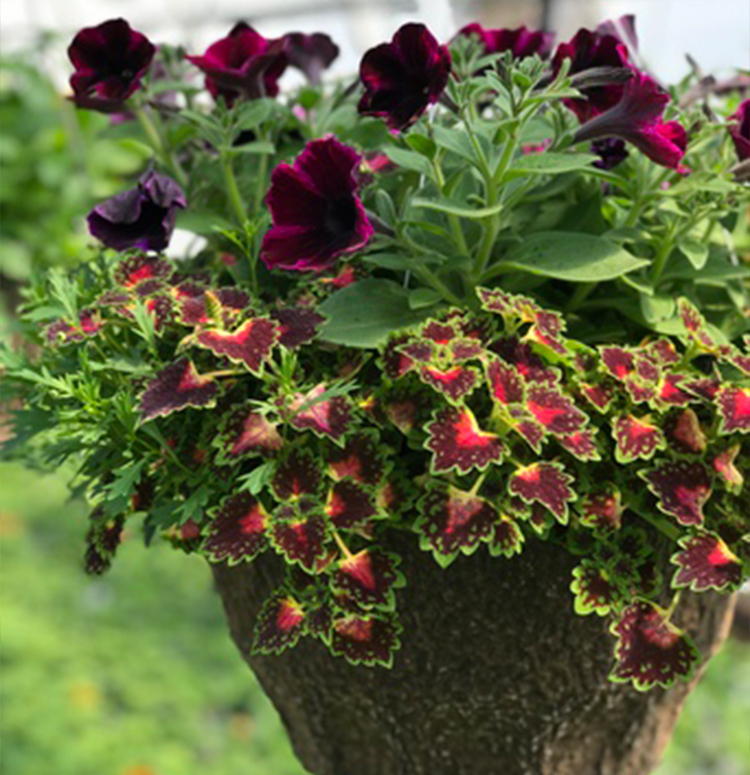 Very lush and very easy to grow, just water when dry to the touch. 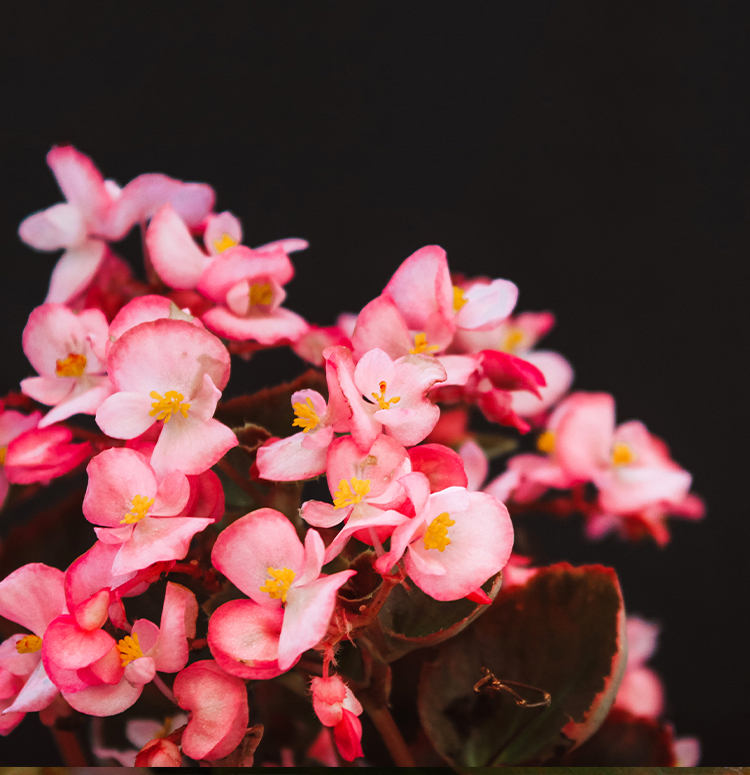 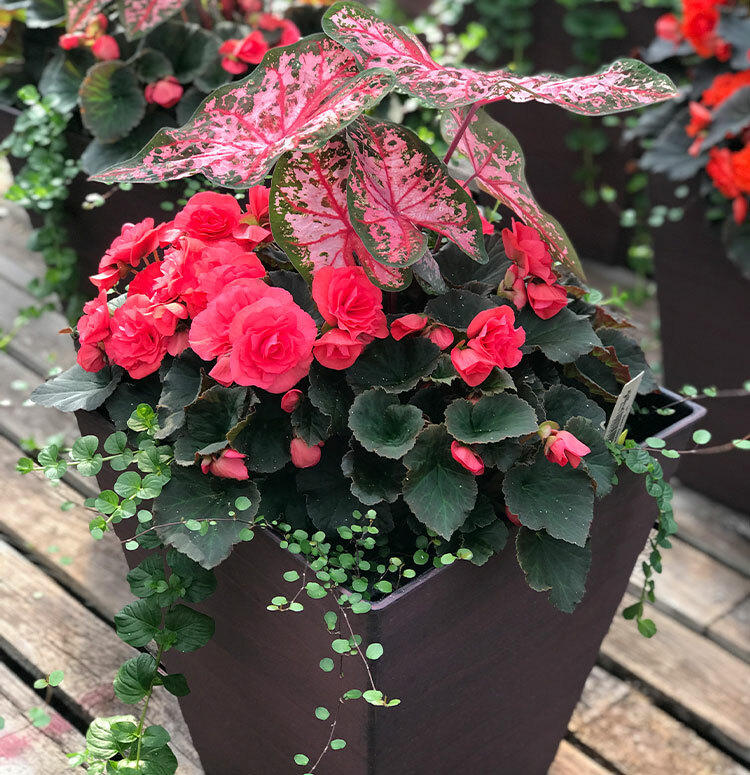 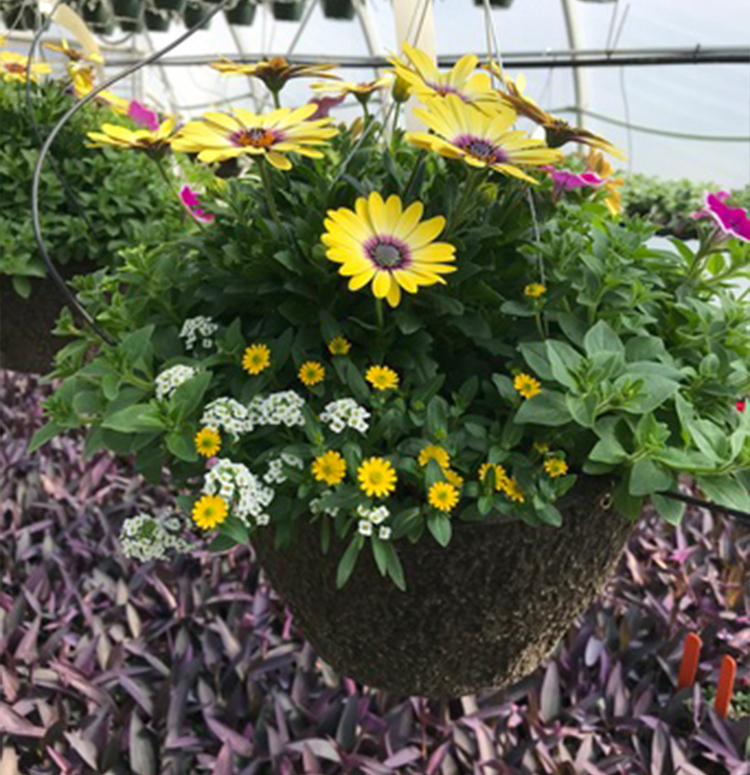 Comes in its own basket, so hang on your porch (you can always bring inside if it gets a little chilly at night), drop into your containers or use as a full and fantastic houseplant.